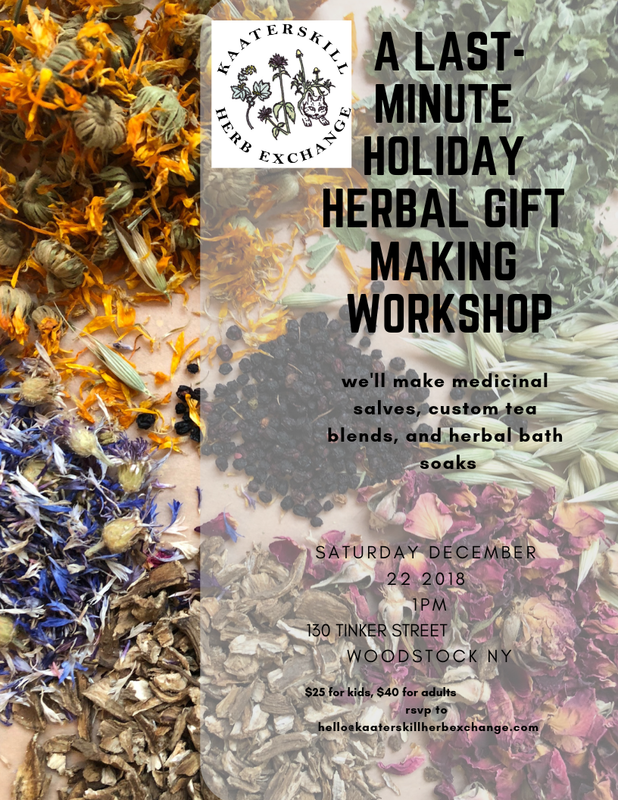 Come to our beautiful locally stocked herb shop for some last minute herbal gift making! We will go step by step through the process of making an herb infused medicinal salve, a custom herbal bath soak, and a functional and delicious herbal tea blend to share with your friends and loved ones. Materials for making all of the above to take home are included in the course fee. Join our mailing list for up to date herb availability, workshops and recipes!